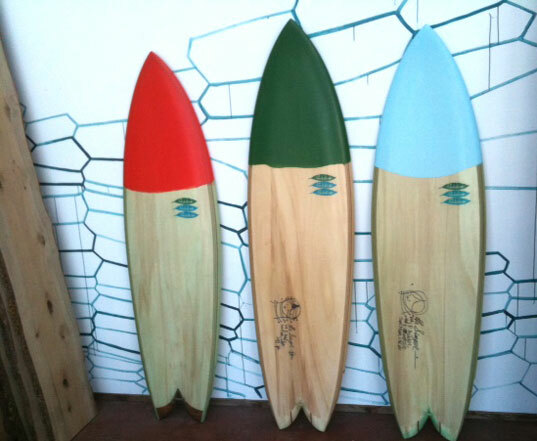 <a href="http://hesssurfboards.com/">Danny Hess</a> has spent the last decade turning surfboard design on its head by designing from the outside-in, rather than inside-out. Most shapers start with a non-recyclable foam blank, and work outwards; Danny instead uses sustainably harvested wood, and builds a frame of poplar and amapolato wood to create an outer shell by sealing the frame with a deck and a bottom. 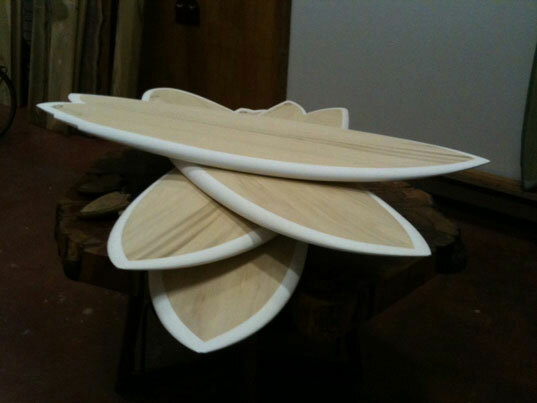 He is one of the world's premiere wooden surfboard shapers. Even with global recognition and distribution partnerships with <a href="http://mollusksurfshop.com/">Mollusk Surf Shop</a> and <a href="http://www.patagonia.com/us/home">Patagonia</a>, this innovative designer is far from declaring victory, and still strives to make the ultimate sustainable surfboard, as he shared in this exclusive Inhabitat interview. Instead, he continues to push his boards and his thinking, at least when he has time. Between shaping and surfing, he is deeply involved in experimenting with new methods to make longer lasting, sustainable surfboards. That’s a lot easier said than done in an industry that has for decades relied upon toxic, non-recyclable materials. The overwhelming majority of boards in the water today rely on several inherently unsustainable, non-recyclable materials: the foam core, which is molded to define the board’s shape, and the combination of fiberglass and resin used to glass the board and give it strength. 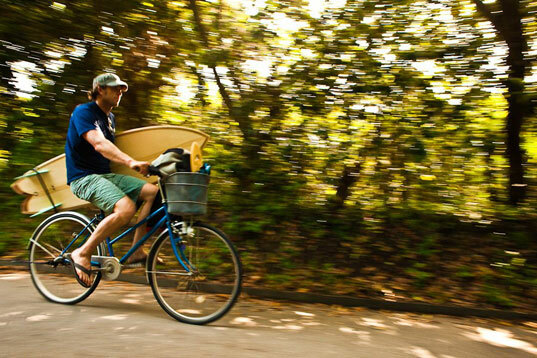 And this is not to say that Danny is the only one experimenting with more sustainable boards. 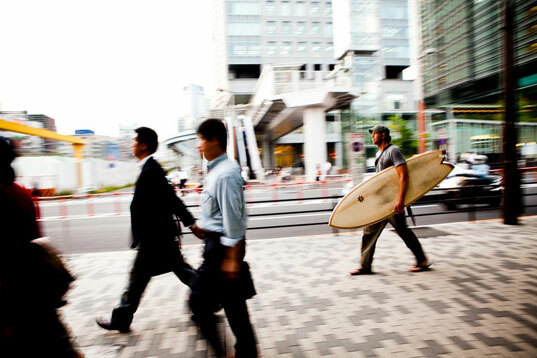 <a href="../../eco-surfboard/">We’ve talked about the viability of eco-surfboards in the past</a>. And there are some really novel approaches out there, like the <a href="../../you-can-hang-ten-on-artist-rich-morrisons-beer-can-surfboard/">beer-can surfboard</a>. But almost all designs rely upon a heavy coating of resin glass to ensure the strength of the board, and Danny’s continual pursuit puts him in a class of his own. While these steps make his boards much more sustainable than most, he knows there is still room for increased sustainability. As he sees it, there are essentially two possible ways to improve upon his current model, without sacrificing the board's performance. The first would be to incorporate “a bio-based foam core that is water-soluble to ultimately replace EPS. I’ve heard of a lot of testing with corn-starch, and <a href="../../ford-incorporates-soy-foam-seats-into-explorer-encouraging-bio-foam-usage/">soy-based foams that are used in other products</a>, but they often end up too spongy, or are water-soluble. But I’m hopeful that something will be out there some day.” The other option is to eliminate the foam core and the glassing all together. In Danny’s eyes, that’s the ultimate goal: a wood-shelled surfboard that’s not glassed, uses no foam…and actually works. Sort of like the <a href="http://www.hesssurfboards.com/HandplaneStore/">handplanes</a> that he makes for bodysurfing, except bigger. He’s actively tinkering with both possibilities. He also has a working prototype of the coveted foam-free, glass-free, wooden board. I was lucky enough to see it in person when I visited him. You can tell from knocking on the deck that it’s totally hollow, and the lack of glass was almost disorienting. I didn’t realize how much I’m used to seeing glassed surfboards. 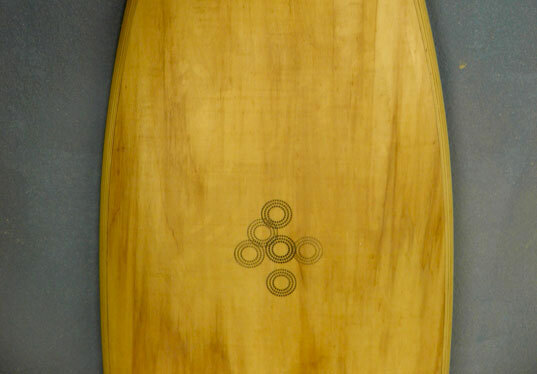 The board wasn’t even waxed, because the unglassed wood, while polished, has a natural stickiness to it, and Danny didn’t think he needed wax when he tested it out in the water. Danny claims to do some of his best thinking when he least intends to, like when he’s asleep. 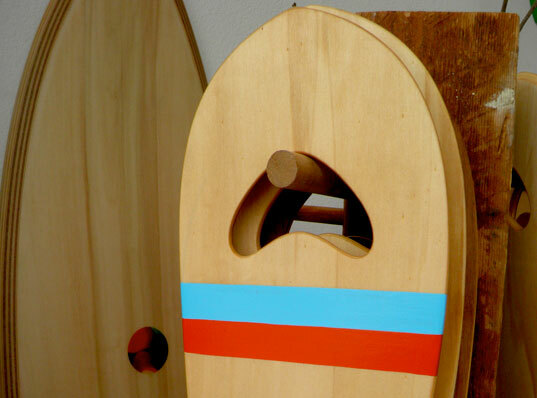 His original board design came to him one night while he was engrossed in a cabinet project as a contractor. He woke up, and just knew how to make his board. I think I speak for a lot of surfers when I say that I’m looking forward to his next midnight epiphany. Danny Hess has spent the last decade turning surfboard design on its head by designing from the outside-in, rather than inside-out. Most shapers start with a non-recyclable foam blank, and work outwards; Danny instead uses sustainably harvested wood, and builds a frame of poplar and amapolato wood to create an outer shell by sealing the frame with a deck and a bottom. 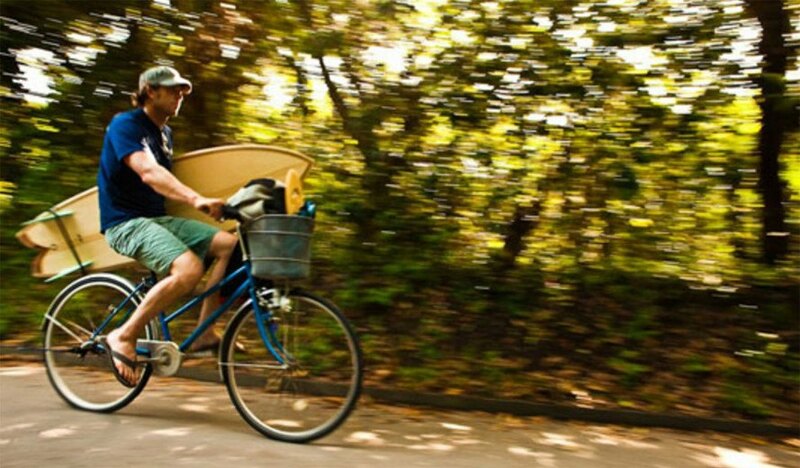 He is one of the world's premiere wooden surfboard shapers. 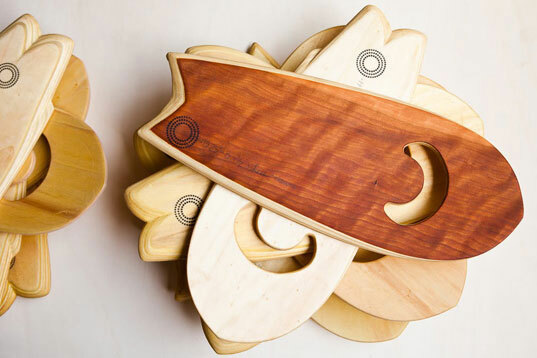 Even with global recognition and distribution partnerships with Mollusk Surf Shop and Patagonia, this innovative designer is far from declaring victory, and still strives to make the ultimate sustainable surfboard, as he shared in this exclusive Inhabitat interview.